Nice that you took the time to read the information about the man behind the call PH5HP. All up-to-date information could be found on QRZ.COM. Also use this address for a direct QSL-card to be sent. 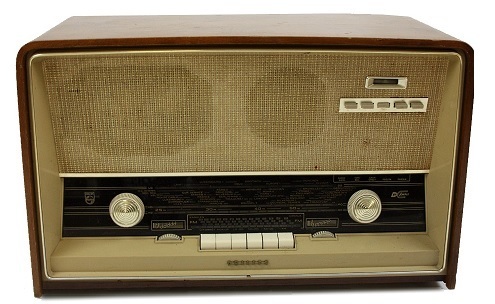 I developed an interest in radio in the early 70’s with an old tube base radio and I listened to the Short Wave. Just wondering about all strange sounds which could be found there. At that moment I had no knowledge about HamRadio bands which could be found there. In the early 80’s the citizenband became legal in the Netherlands. We were permitted to use 22 channels/ 0.5 watts / FM transceivers. The first legal transceiver I bought was a President KP44. Before that we experimented with some illegal CB transceivers which were capable to transmit in AM and SSB also. In the same time period we were also experimenting with FM radio. That was and is still illegal in the Netherlands. We build in those days our transmitters ourselves. So in the 80’s I got interested in radio on two platforms. In the 90’s I discovered FM DX on the 40 CB channels. The regulations were changed and the channels were expanded from 22 to 40 channels and the power was increased from 0.5 to 2 Watts. I enjoyed FM DX-ing on the upper channels around channel 30 and only in (allowed) FM mode. During the early 90’s I worked most countries in Europe with my President AX31. Since May 2001 I got the N-license. I took the exam for that in April 2001 with a good result. Due to personal circumstances it took a while before I was ready to take the exam for the F(ull) license. The 6th of November 2013 I passed the Full license exam and I choose the callsign PH5HP.